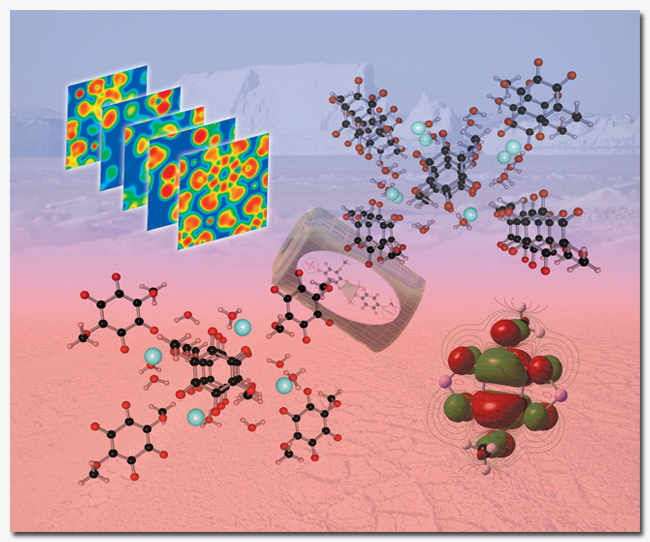 The generation of isotopically-substituted molecular crystal spectra has become a point of interest, which means blog post. To be clear, this is for cases where isotopic substitution does not affect the crystal geometry – the crystal cell does not change significantly upon deuteration (and for those who believe isotopic substitution never leads to significant changes in the solid, I refer you Zhou, Kye, and Harbison’s article on Isotopomeric Polymprphism and their work on 4-methylpyridine pentachlorophenol, which changes dramatically upon deuteration. I beat on this point because blindly assuming of the crystal cell geometry in such cases will produce spectra noticeably different than measured. It’s NOT the calculation’s fault!). The generation of isotopically-substituted spectra and intensities in Crystal09 is trivial provided that you KEEP THE FREQINFO.DAT FILE. In fact, you need keep ONLY the FREQINFO.DAT to generate these spectra, which greatly reduces file transfer loads and allows for the scripted calculation of new vibrational spectra and thermodynamic data post-frequency calculation. Upon completion of this run, you need only the FREQINFO.DAT file, the last set of coordinates from the .OUT file (for atom counting purposes) and an input file which is modified from the original only in the specification of the ISOTOPES section and which includes a RESTART. Question – how does one deal with isotopically-labeling atoms when it breaks the space group symmetry? If I isotopically label Atom 1 in the asymmetric unit, what happens to the other N symmetry-related atoms? your ISOTOPES section relies on the numbering of the atoms in the “56 atom” list. The input file below will calculate an isotopically-labeled vibrational spectrum for 8 of the hydrogen atoms that ends up breaking the unit cell symmetry (which will be more obvious from the produced mode energies). Again, the atom numbers come from the “ATOMS IN THE ASYMMETRIC UNIT” part of the original optimization by which you performed the original normal mode analysis (hopefully). The difference is in the FREQCALC section, which calls RESTART (to use the FREQINFO.DAT file), ISOTOPES (obvious), the total number of atoms that are having their isotopes changed (8), then the list, containing the atom number and the new mass (here, 2 for deuterium). change to the following last 16 modes (H/D-atom motion) upon deuteration. Note the mode energies split and the mode symmetries go from (A1,A2,B1,B2) to (A). Also note your IR mode intensities change, giving you the complete picture upon isotopic substitution. This post was instigated by Syracuse University Professor of Chemistry and well-known non-blogger Tim Korter concerning efforts to, I believe, generate proper MÃ¸ller-Plesset Perturbation Theory Of The 4th Order (MP4, and also testing coupled cluster CCSD(T) calculations) intermolecular potentials for improving terms for Grimme dispersion-corrected density functional theory (DFT) calculations with the Gaussian09 package (a program for which many people grumble about various issues but which is, by nearly all metrics, a fantastic set of quantum chemical programs). The examples below, using water only, are just for ease-of-testing, which produce the following results based on the form of the input of the molecular coordinates. For those wondering why, z-matrices are the preferred format for performing SCAN or other automated trajectory calculations (an absolutely useless format, in my opinion, now that we have computers that can handle more than five atoms). Normal termination of Gaussian 09 at Fri Apr 27 11:28:33 2012. … error appears, the simple solution is to re-define your system. In the interest of wasting a few cycles, I ran a series of the same calculations with other post-Hartree-Fock methods [B3LYP, MP2, MP4, CCS(D), CCSD(T)] to see how pervasive the issue with coordinate definitions might be. It appears to be limited only to MP4 and CCSDT (CCS(D) worked but took an unbelievably long time for Option 3 above), meaning people generally running significant molecules likely have never come across the issue.